Moving forward into the future, together with paper. 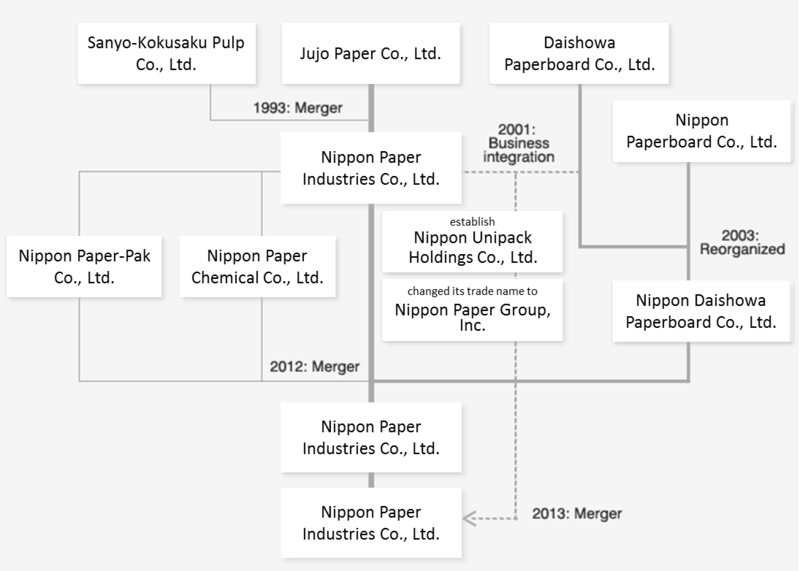 Nippon Paper has walked through the years, hand-in-hand with the history of paper in Japan. As we have grown, we have adapted to the changing times and have always believed in the possibilities of paper. Even now, we continue to explore and evolve, as seen in actions such as our expansion of company scale through mergers and the establishment of joint ventures, as well as our shift to a holding company structure. On October 1, 2012, we reorganized the Group, and, in April 2013, strengthened cooperation among our paperboard and chemical product businesses by migrating to a company system based on autonomous divisions. Through company management that leverages synergies within the Group, and with all employees acting as one, we will continue to carve out a future and grow to become a company truly necessary to the world.